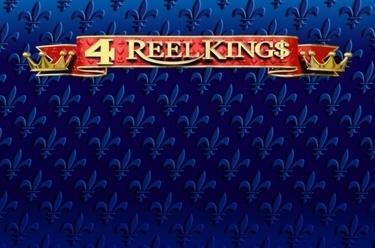 Play 4 Reel Kings online for free now! 4 winning chances are waiting for you at 4 Reel Kings - because 4 slots are spinning at the same time here! 20 reels and 20 win lines will push your winning chances to the limit! If the symbols land in the right order you will take royal winnings home, while a bag of money in all reel positions secures the main prize for you! Your aim is to land 5 matching symbols along a win line. The winning patterns in every slot start on the left and run along the win line to the right. To win, the symbols must land next to each other on an active win line without any other symbols between them. And it doesn't stop with just 4 slots - 5 further slots will bring you luck at the Reel Kings-Feature! Reel Kings are mini slot games, which will appear randomly on the reels after a spin or as soon as all the letters of a slot title light up. The Reel Kings-Feature is played on up to 5 Reel Kings with 3 reels and 4 symbols ('7' in 3 different colours and diamond). 3x ‘7’ wins and gives you different win amounts depending on the colour combination. If you land a diamond combination, then that Reel King vanishes. 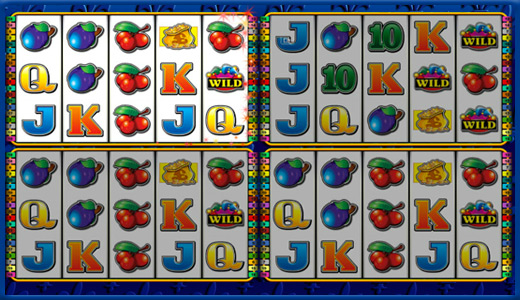 You can play the Reel Kings until all of the mini-slots have been eliminated through the diamond symbols. All Reel Kings pay 5 to 500 times your stake!